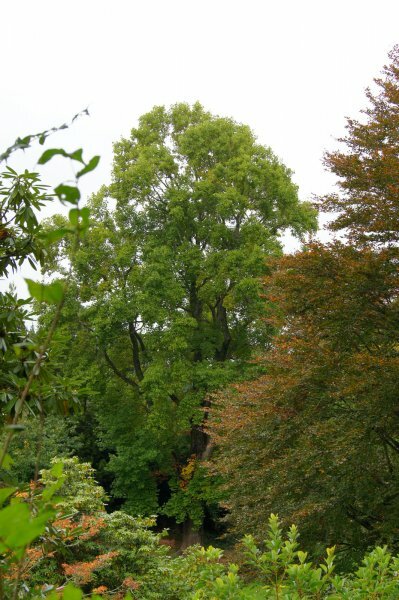 One of the many fine specimen trees at Tupare, the home and gardens originally developed by Sir Russell Matthews. 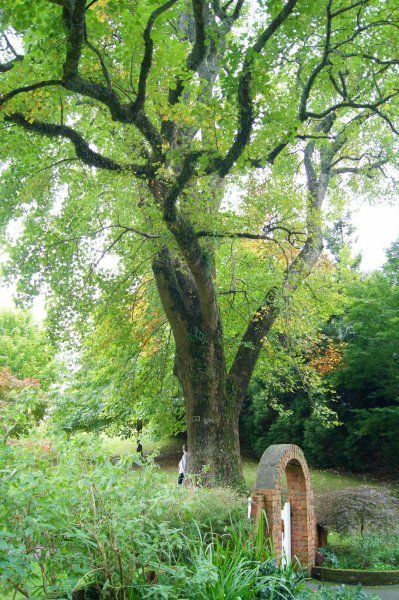 The tree was planted in 1932, in what was originally a cow paddock. 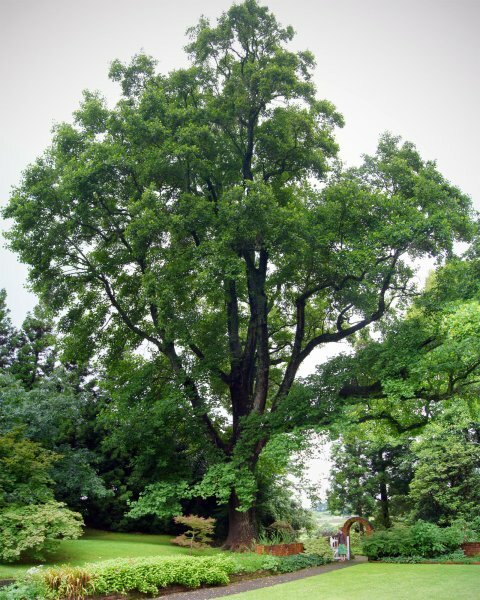 It was reported that the tree was 45 feet (13.7 m) in height 12 years after planting (Smillie 2012). See http://www.trc.govt.nz/tupare-home/ for further information. Slightly suppressed on the southern side. 29 Jan 2012 Smillie, M.J.
South of the main house, past the old gardener's cottage, at the southern end of the cottage lawn. Easily accessed.